The Government’s persistent outreach to opposition and other parties is resulting in better functioning of Parliament despite heat generated on some issues, said the Minister of State for Parliamentary Affairs shri Mukhtar Abbas Naqvi today. Speaking to media persons on the conclusion of second Budget session of this year, he said government has reached out to opposition and other parties “through sustained coordination, communication and cooperation’’ by Finance Minister and Leader of Rajya Sabha Shri Arun Jaitely, Minister of Parliamentary Affairs Shri M.Venkaiah Naidu and the two Ministers of State for Parliamentary Affairs on various issues. Giving an account of the efforts made by the Government towards legislation and functioning of Parliament over the last two years, Shri Naqvi informed that the number of sittings of both the Houses and Bills passed by the Lower House have improved during this period. Elaborating on this, he stated that Lok Sabha held 75 sittings and passed 48 Bills per year as against 70 sittings and 45 Bills per year during 2004-14. Rajya Sabha held 71 sittings and passed over 41 Bills per year as against 67 sittings and 45 Bills per year during 2004-14, said Shri Naqvi. Lok Sabha passed 96 Bills and Rajya Sabha cleared 83 Bills during the last two years. Out of the 8 sessions of the 16th Lok Sabha so far, productivity of the House (working hours as against available time) has been more than 100% in respect of six sessions. Productivity of Rajya Sabha has been more than 100% in respect of 2 sessions and over 80% in case of another three sessions during the last two years. Regarding the current Budget session that concluded today with sine die adjournment of Rajya Sabha, Shri Naqvi said “Contrary to forecasts in some media and political circles, this session has been by and large productive and fruitful despite the heat generated on some issues of wider implications. Despite contentious issues being raised in the Parliament, legislative work is being transacted. Of course, there is definite scope for further improvement in this regard”. 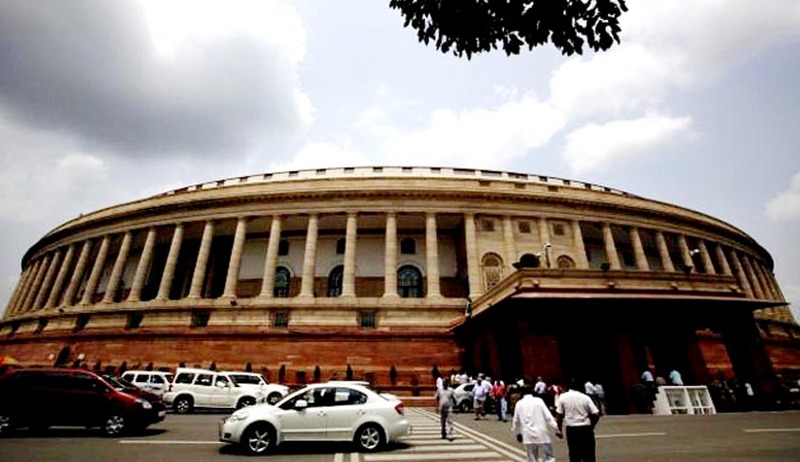 The Minister referred to Lok Sabha not witnessing even a single forced adjournment due to interruptions during this session and disruptions declining in the Rajya Sabha over the last two sessions and thanked Presiding Officers and Parties for the same. He said that Lok Sabha worked for 14 hours 32 minutes beyond scheduled hours, amounting to more than two sittings, resulting in early completion of legislative work. Shri Naqvi informed that productivity of Lok Sabha during this Session has been 117.58% and that of Rajya Sabha at 86.68%. Ten Bills were passed in Lok Sabha and 12 in Rajya Sabha. Major Bills passed during this Session included –The Finance Bill and the Railways Appropriation Bill, the Insolvency and Bankruptcy Code, The Mines and Minerals (Development and Regulation) Bill, the Industries (Development and Regulation) Bill and the Anti-Hijacking Bill, passed by both the Houses and the Compensatory Afforestation Bill, passed by Lok Sabha. 44 Bills are pending in Rajya Sabha for consideration and passing while it is 11 in case of Lok Sabha, Shri Naqvi said. Stating that there is a definite need for the Parliament to give a major push to reforms, Shri Naqvi hoped that “GST Bill will not be held up for long on political considerations and hopefully it will be passed soon”. The Minister noted that over a dozen reform Bills were passed by the Parliament over the last two years. These include ; The Insurance Laws (Amendment) Bill, The Securities Laws (Amendment) Bill, The Labour Laws (Amendment) Bill, The Coal Mines (Special Provisions) Bill, The Mines and Minerals (Development and Regulation) Amendment Bill, The Payments and Settlement Systems (Amendment )Bill, The Companies (Amendment) Bill, The Negotiable Instruments (Amendment) Bill, The Real Estate (Regulation and Development) Bills, The Aadhar (Targeted Delivery of Financial and Other Subsidies, Benefits and Services) Bill, The Indian Trusts (Amendment) Bill and The Insolvency and Bankruptcy Code. Shri Naqvi further said that 1,175 outdated and outlived Acts have been repealed over the last two years to avoid confusion. This Budget session commenced on April 25, 2016. While Rajya Sabha was adjourned sine die today, Lok Sabha was adjourned on May 11,2016.